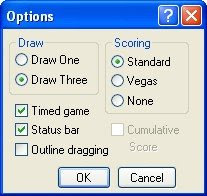 You can't play Solitaire with "Draw three" option because sometimes you need a card or the second third, but can not be taken with the show one by one? You can, do the following method. No response yet to "Solitaire Cheat Again"